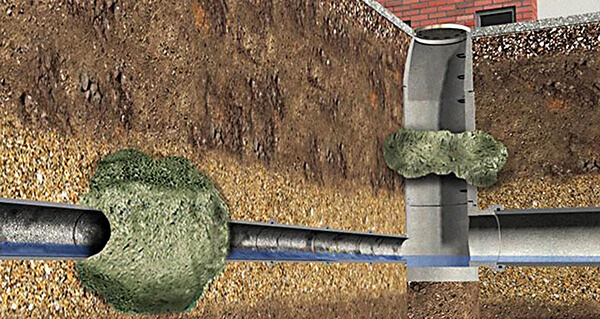 The flooding method is used to seal off damaged spots in sewers of up to DN 400 mm in diameter by using a two-component silica gel. Both components are poured into the pipe system one after the other and allowed to permeate through the leaky spot into the adjoining soil. The reaction of both components results in a water-tight compound which seals off the leaky spot. The fluid remaining inside the pipe can be recovered and reused. RTi unites under its umbrella seven building companies, with a large network of partners operating all over Europe, and our technology provider NordiTube. In case of queries, our team will be happy to assist you. We look forward to you hearing from you!